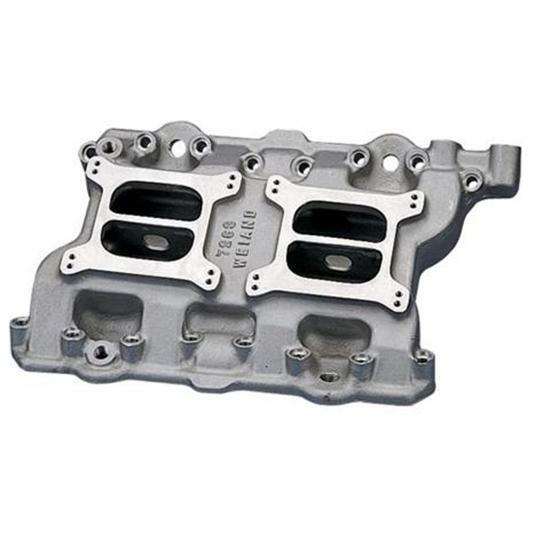 We offer this Weiand Hi-Rise dual four barrel intake for the 331-392 Chrysler Hemi. Single plane design with a 2000-6800 rpm range. Use O.E. style carburetors. Linkage must be fabricated. Height: Front 3.00", Rear 3.88"